Three women from diverse backgrounds are thrown together by circumstance and one man’s greed. Maddie, a suburban housewife. Nicole, matchmaker to the rich and elite. Avery, who recently lost her position on a home improvement show to her undeserving husband. All are victims of a Ponzi scheme. Add a pregnant unmarried daughter whose baby-daddy is a married, mega-movie star, and financial ruin on all fronts with a dilapidated Florida mansion as the only possible salvation, and you’ve got the mixings for a great beach read. Bella Flora is a run-down version of its former fabulous self. It’s the only asset given to three strangers as compensation for their vanished investment money. When they arrive to assess the property and arrange to have it put on the market, it’s in much worse shape than they’d imagined. With no cash, they use their individual talents to scrape, scrimp and salvage their way to restoring the once-magnificent beach mansion. As they live where they work, their lives intertwine in ways that go far beyond plaster and paint. Friendships come together faster than the house does, and solidarity is formed on all fronts. Until disaster comes in the form of both betrayal and natural forces. If you’re like me, you’ll fall in love with the house as much as the characters. 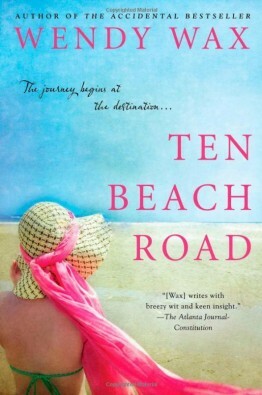 Whether or not you’re headed to the beach, grab this book for an instant vacation.